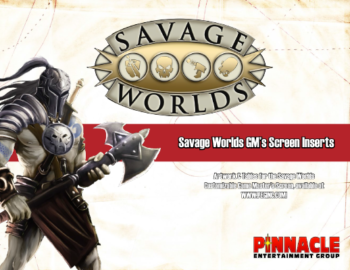 Savage Worlds Adventure Edition is the latest version of Savage Worlds. It does not, however, invalidate prior printings of the rules, which you can continue to enjoy. 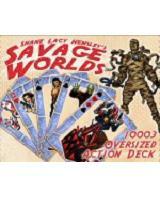 The version available for retail sale currently is Savage Worlds Deluxe. 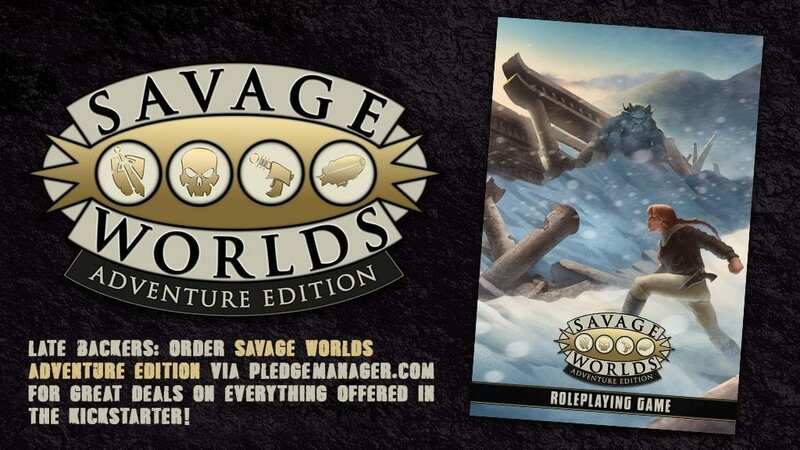 Savage Worlds Adventure Edition is expected to be available for retail sale in summer 2019. See below for preorder information. 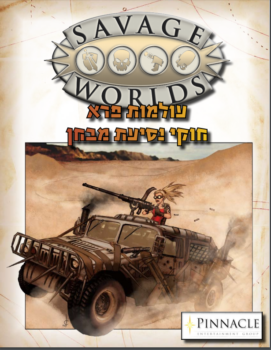 Print format: This book is full color, graphic novel size (6-5/8″ wide by 10-1/4″ high), and 208 pages. See below for ordering information! PDF format: This electronic copy of the book is fully bookmarked with layer options for printing only what you need. 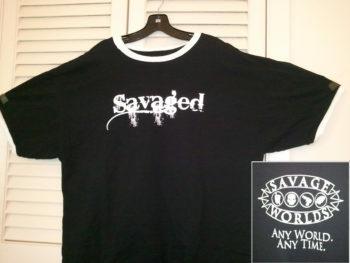 You may order from this page below. Looking for Savage Worlds Adventure Edition in Print? 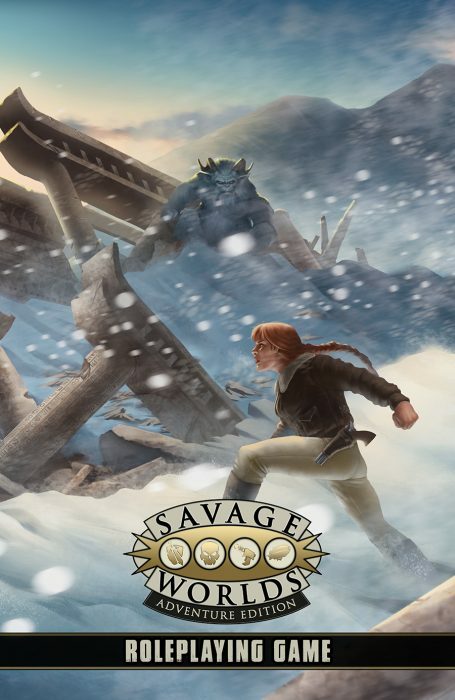 We recommend you preorder using PledgeManager.com until July 16th, 2019. This gives you the best rate for shipping (especially for non-United States locations) and you will receive your copy before retail release. After completing your order for a physical book at PledgeManager, email site.admin@peginc.com for a complimentary copy of the PDF. Click the image below to go to that website now!